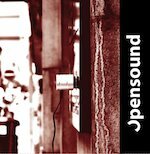 Opensound is a collective of artists that occasionally head out on the road performing at mobile workshops, exhibitions and concerts. Opensound embodies art as much as it does music; in most cases the former is deemed more important than the latter, from what I can interpret from the press pack that came with this CD. Much of this release is improvised, which is of no surprise considering where these tracks were recorded; and do have a problem with this if I am to be honest. I have been to many improvised noise nights over the years and these do work better as a show rather than on audio CD. A total of 11 artists contribute to this album comprising in a mix of tracks that if you were not taking note would sound like one long commentary to a lecture in audio manipulation. This begs the question as to why the label didn’t just release a DVD as opposed to a CD. Don’t get me wrong, when the music does happen, there is a lot to sink your teeth into if pulsating ambient and noise floats your boat; it’s just too little too late with far too much hippy chin-stroking going on for my liking.